Republican Meteorologist & Entrepreneur: Debating Cause of Climate Change is Moral and Scientific Equivalent of Debating Gravity | Global Warming: Man or Myth? My name is Paul Douglas. Scott Mandia suggested I drop you a quick note in response to your recent CSRRT inquiry. I’m not a climate scientist; I’m a Penn State meteorologist and an entrepreneur who has launched a series of weather/technology companies over the years. I’ve been talking about weather trends; how what I’ve been witnessing on the weather maps since the 1990s dovetails with what climate models have been predicting all along. I began talking about these trends on WCCO-TV and The Star Tribune in the Twin Cities back in the late 90s, and immediately got push-back from a minority of viewers and readers who felt somehow threatened by the science. I still write a daily weather and climate science blog, and produce a daily 2:30 video segment on meteorology and climate science for our new national weather channel, WeatherNation TV. I talk to 50+ organizations about weather and climate trends during a typical year across the Upper Midwest, and still hear a fair amount of skepticism, cynicism and outright science denial. As a meteorologist I have an obligation to be scientifically accurate, to explain the trends and most likely triggers as competently as possible. Communication, especially of complex scientific issues, is always challenging, but I believe we have an obligation to translate the implications of science, not only what it is – but what it means. The implications. It would be like a heart surgeon telling a patient he has an irregular heartbeat, and then leaving out the part of an implantable stent and going on a statin. I’m a meteorologist, but I haven’t renounced my citizenship. As such I speak out about issues, trying to highlight the signal amidst the noise. And there’s an awful lot of noise, confusion, obfuscation and (deliberate, well-funded and orchestrated) denial out there today, because of policy implications, and the sheer amount of money in the energy sector that’s in play. Trillions of dollars of carbon potentially at risk. As an entrepreneur if I don’t respect the data and see the business world as it really is, not as I’d like it to be, I become road kill. My venture quickly goes out of business and I have to lay off good people. So it is with science, which, like nature, never moves in a straight line. But I tell people the truth as I perceive it to be. The data is the data. If we don’t react to facts on the ground and listen to professional scientists, including climate scientists, and base policy decisions on a careful and deliberate attempt to document observed changes/causes using the scientific method, we’re setting ourselves up for failure on a planetary scale. To the heart of your question, why don’t more climate scientists enter into the public debate? Because the debate is over. It’s the moral and scientific equivalent of debating gravity. The experts have spoken, and because a very small minority of stakeholders and shareholders don’t care for the implications there is vociferous push-back from certain special interests. I worked in television news for 35 years. Mainstream media likes a good on-air food-fight, a protagonist and antagonist, shouting at each other about their worldviews. It attracts curiosity and eyeballs – it’s ultimately good for ratings. But it’s a false equivalent, and it’s a terrible way to conduct science. We put a handful of (paid) climate skeptics and industry lobbyists on a stage with thousands of the world’s leading climate PhD’s, and think this is somehow serving the public interest? It’s not. It’s creating more confusion, more delay and more denial, as viewers and readers pick and choose their reality as easily as changing channels on their TV or grazing over their morning horoscope. I can absolutely understand why more professionals don’t want to subject themselves to inane banter with science-deniers. Schopenhauer once said that all truth goes through 3 stages: first it is ridiculed, then violently opposed, then finally accepted as self-evident. We are at the end of Stage 2. Manufactured doubt and industry push-back is preventing us from taking the planetary actions necessary to avoid even more disastrous climate volatility. When sea walls go up around Manhattan and Miami, when a large western city runs out of water or goes up in flames, when crops fail year after year across the Midwest and cruise ships packed with curious gawkers routinely sail across the North Pole, maybe the professional denialists will move on to their next target. Not sure if that answers your question – just wanted to offer up my opinion. Let me know if there’s anything else I can do to help. Paul Douglas’ commitment to sound science not only as it applies to meteorology but also to climatology sets a high standard for all of us, but a goal well worth our aspiring to. I have a physics challenge for anyone so inclined to take a stab at it. I will drop a leaf from my roof from a height of exactly 30 feet. Using the laws of gravity and any other laws of physics you require, please calculate the landing location, time to land on the ground and the final landing velocity. Feel free to request any initial parameters like the mass of the leaf, the shape of the leaf, wind speed and direction, air temperature and humidity, elevation above sea level, etc. A person who believes in gravity can be quite sure that the leaf will hit the ground. One who is sufficiently well-versed in physics and equipped with the right calculating apparatus can provide a probability distribution for where, when and how fast the leaf will land, given a set of physical parameters. One who does not believe in gravity, or who is somehow invested in the idea that gravity does not affect the leaf, will make increasingly unlikely explanations for the leaf’s overall downward trajectory, perhaps blaming it on the sun, or cosmic rays, or what their dog had for breakfast that morning—all while the leaf continues to fall. This is a problem in aerodynamics with gravity as an aside creating the driving force pointing “down” This is not a problem of Newton’s (or anyone’s) Law of Gravity, alone. The trajectory of the leaf is manifest in aerodynamic forces that are function not only of the initial conditions of the leaf (shape, size, etc., etc, orientation) but also the chaotic forces of the atmosphere (wind, eddies, resistance, T, P, composition, etc., etc.) all of which can be modeled producing an ensemble of possible solutions, none of which can be exact because none of the initial conditions can be know exactly and because of random forces such a Brownian motion, However, the ability of a model to incorporate and handle uncertainties in the form of an ensemble of solutions allows one to identify those landing spots of highest probability. If your intent is to argue about gravity, then leave aerodynamics out of it and do the experiment on the Moon, which has already been done. If, however, your intent is to subtly imply that climate models can’t predict where climate will go, you are creating a false equivalency by challenging the model to predict a single trajectory of the climate without uncertainty. This is NOT what climate models do: they produce a ensemble of possible outcomes, with their inherent uncertainties, with the mean of the ensemble having the highest probability outcome. And, just as a leaf’s trajectory can be changed by unexpected gust of wind from a butterfly, the path can be updated based on the new “initial” conditions, the predicted trajectory of the climate can be changed by unexpected forcings in the atmosphere be they volcanic eruptions, changes in arctic sea ice or unnatural addition of CO2 into the atmosphere. In the case of the climate, these new forcings are included in the model and the ensemble and uncertainty is re-calulated accordingly. mpcraig, Your question would be analogous to trying to predict the exact weather 100 years in advance, something that is clearly impossible. Instead take a whole heap of leaves and drop them and try to estimate the average and distribution for landing location, time and velocity for the leaves. Still not a trivial problem, but if you take a good model and simulate a lot of leaves falling you will get reasonably correct answers. It’s the same with climate, you can say a lot more about changes in average weather than you can about individual weather events. Casinos work by exactly the same principle. They can’t predict a single roll of the dice any more than you can predict a single falling leaf, but at the end of the day, after countless thrown dice, they will still end up richer than the day before. The hard part is verifying “reasonably correct answers”. And regarding the Earth’s climate system, it is FAR from a trivial problem. Implying “the debate is over” and there is some “truth” isn’t consistent with the complexity of our climate system. And silencing skeptical points of view is about as unscientific as it gets (just because some might be whacko or come from some unsavory political entity). BTW, we don’t know the cause of gravity. You should read a bit about the General Theory of Relativity to understand gravity (curvature of the metric of space caused by the presence of mass). If you still want to say, “but that doesn’t explain the real cause of gravity,” then there is little to help you. If you actually do want a nuanced account of how climate models work and the extent to which they’re useful, there’s always this. mpcraig, there is and will continue to be a scientific debate among experts on the technical sides of AGW and it is even possible, although highly unlikely that some “skeptic” will one day come up with some theory for why AGW will be much less severe than expected, although it’s of course just as likely that it’ll turn out to be more severe. This is quite different from the public debate among non-experts. There is no reason to give equal space to any “whackos” there, nor to the ones spreading false doubt or “balance” between mainstream science and the “whackos”, and calling this “silencing” doesn’t change the fact that a rational debate should be based on rational knowledge, not who happens to scream loudest. Whether someone claim that Earth will soon turn into a new Venus or that climate will hardly change at all media should point out that this has no support in science. You are right that we don’t know the ultimate truth about gravity since the current theories doesn’t take quantum mechanics into account, but that doesn’t change the fact that even Newtonian gravity is good enough in all but a handful of cases even though we know it isn’t right and we have a better although more cumbersome theory of relativity. That’s how scientific theories usually change, the old one remains as a good approximation, and it’s likely further refinements of our understanding of climate will work in the same way. I’m in full agreement with the author that there is very little to debate regarding the cause of climate change – at least since the industrial revolution. Mankind’s emission of greenhouse gases – particularly CO2 – is the primary cause of observed global warming amounting to more than 0.8 degrees C since 1880. Furthermore, it is extremely likely that continued CO2 emissions will increase the planet’s temperature, which will impact the planet. No debate needed on any of these points. But really, what good does that do anyone? It’s a fact, like gravity. Is there not still plenty to debate in climate science? According to the IPCC, equilibrium climate sensitivity to CO2 is anywhere from 1.5 to 4.5 degrees C per doubling; that’s a huge range, and any impacts we will feel will happen far more quickly (and require a much more aggressive response) under the latter scenario than the former. There’s a huge push to limit warming to less than 2 degrees C from pre-industrial levels; we could be far past that point now, or we could continue emissions until 2100 before approaching that mark under the extreme scenarios. How about getting a better understanding of the impacts of this increase (and it’s continuation)? 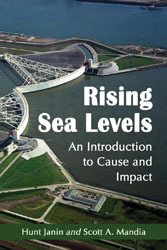 We know sea levels will rise if everything else is held equal, but exactly how much? What about the increase/decrease in extreme weather events related to higher CO2 levels in the atmosphere? The IPCC now says there is no firm link; shouldn’t there still be debates and further scientific study on this? What do we do about the increase? What’s the most effective way to bring down the level of CO2? Reducing emissions? By how much exactly? Carbon sequestration? Or, just impact temperature by pumping cooling gases into the atmosphere? If we have full control over CO2 concentrations, what would be the ideal level in the atmosphere? Should we get it back to 350ppm, or reduce it back to 280? Furthermore, what is the ideal temperature for all life on earth? According to climate science, we haven’t seen temperatures this high in tens of thousands, if not millions of years. We know from history that a cooling of around 3 degrees C would have unbelievably bad impacts certain populated areas of the globe; a glacier up to 2 miles thick covering Canada and the Northern United States would not be good for Chicago and Detroit, for example. Can we really go to 2 degrees above pre-industrial levels without much impact? These all seem to me to be questions for which the science doesn’t yet have a definitive answer, and respected climate scientists actually do disagree on some of these questions. It doesn’t make sense to debate the primary cause of global warming since 1850, any more than it makes sense to debate gravity. But we don’t base future policy on historical warming any more than we make laws regarding gravity. What we do about it is where the debate should be, and in my mind, science still has plenty to contribute – and plenty to answer – in these areas. I’m sorry, but these aren’t scientific statements. There is a basis in science for some of them, but science can’t yet definitively tell us that these things will happen, let alone when. They also implicitly assume we can’t do anything to prevent them. If you’re going to bash people (rightly, in my opinion) for not respecting the science, please do so yourself. The general outlines of the threat are, at this point, very clear. The exact extent of global warming and the exact amount by which the arrangements of human civilization will be disrupted are less clear. Are you demanding that every uncertainty be nailed down tight before any action is taken? Remember that the fact there’s a range of uncertainty does not automatically ameliorate the problem. The high end of the range is just as likely as the low end, and the high end is catastrophic. And as for your objections toward the end, you’ll notice that the essay is not entirely composed of “scientific statements” in any case. He was asked whether he thought climate scientists should take a public position. The list of possibilities at the end were not meant to be ironclad predictions, but examples of things that are more or less likely, given our best understanding of the system. And unfortunately, all of them look either very possible or downright certain. Of course there are uncertainties. But if you demand predictions as sound as celestial mechanics, you can be sure that nothing will ever be done about it, which drives us inexorably into really serious problems in the coming millenia. Not years, not decades, not even centuries — millenia. Thanks for the response, Palindrom. I certainly think there are many actions we can – and should – consider to mitigate the problem. I also agree with you that the general outlines of the threat are clear; however, “when” and “how much” are very important questions, and climate science can do a lot in the coming years to help us with better understanding those questions. My point is this: if climate science is settled, and the debates are all over, what is the point of continuing climate science? The opposite is true; we need climate science now more than ever to (1) better understand these uncertainties, (2) better understand the consequences of global warming and climate change (not just anthropogenic), (3) better understand the impacts of various changes we can make, and (4) develop ways in which we can learn to better adapt to changes that we know are already coming. There is a whole lot left to explore, understand, and debate in climate science, which in my mind gets lost in all of this “the science is settled” discussion. We need climate scientists more than ever, and arguing that everything is settled implies there is nothing is left to do. If you have time, I would ask you the following question: what action do you think should be taken? What have been the most effective actions to date? What would be the most effective in the future? I maintain that climate science, and climate scientists, can only answer part of those questions. Climate science and its models can give us the best understanding of “what-if” scenarios as they relate to the overall global climate, and they’re getting better at understanding local impacts. However, we need other disciplines to answer the rest: statistics to determine uncertainty, economics for financial impacts, political scientists for feasibility and popular impact, and other environmental scientists for additional impacts. Unfortunately, by extrapolating from what climate science says (i.e., anthropogenic CO2 emissions are the primary cause of the increase in global temperature during the 20th century) to demanding specific actions of policymakers, all of these disciplines tend to be ascribed to climate scientists. Scott Mandia may very well be one of the best climatologists and meteorologists in the world, but I would not go to him to calculate the economic impacts of reducing emissions to zero; that’s not his job, and he hasn’t been trained in it. I think this is one of the main reasons so little action has been taken to-date. Climate scientists have taken up the mantle of political change, and they’re not really very good at it. So the question remains: what, specifically, would you do to fix the problem? BIll Mathers, are you aware of the vast body of climate change research that has been undertaken by economists, ecologists, political scientists, etc. over the last few decades? If you look, for example, through the list of authors of the IPCC WG3 chapter on policies for mitigating climate change, you will find that they are all economists, policy experts and the like. There is not a climatologist among them. Likewise with the chapters on mitigation strategies for energy supply or agriculture. The mitigation research is actually being carried out by people working in the relevant fields, not by climatologists. I’m using the IPCC here as an example, but the same apples to pretty much any climate change policy research. The climatologists who spend their time in the trenches collecting ice cores or optimizing GCM convection parameters are not, by and large, the ones making the policy recommendations. You would do well to disabuse yourself of this notion. Cordwainer, I think I understand your point, but I also think you’re missing mine – probably because I haven’t articulated it very well. Let me try it in the context you have so helpfully provided. To start, I agree that the IPCC is the best example of a synthesis of all of these efforts. I still think it’s extremely weak. First, look at the list of names for WGIII chapter 13 you sent, starting with the coordinating lead authors. Dennis Tirpak’s biography highlights the fact that he “has worked in climate change” since 1985. I can’t find out whether he graduated college, let alone whether he has a PhD in political science or economics. I can’t find anything on Sujata Gupta other than a reference to the IPCC reports. What is Sujata’s degree and primary field of study? Are they scientists? How well-published are these authors in anything beyond the IPCC (I can’t find much)? My belief is that we need prominent scientists from the economic and political fields to tackle these questions, not potential PhD candidates (Nicholas Burger, UC Santa Barbara, for example). I’m sure they’re fine folks, but they don’t qualify as experts, and don’t have the gravitas to get this stuff fixed. Furthermore, the chapter on policies for mitigating climate change doesn’t actually recommend policies; it simply lists the suite of available options (you can tax, you can regulate, you can fund R&D, you can sue, etc.). Who is really developing a comprehensive set of policies for this global problem? It’s not the IPCC. The IPCC report has other limits. It’s focused primarily on anthropogenic climate change, and the mitigation strategy focuses exclusively on “the mitigation of climate change by addressing anthropogenic emissions of greenhouse gases (GHGs) by sources and removals by sinks” – with a far heavier focus on the former. It’s hardly a comprehensive approach, which is disappointing. My point regarding climatologists entering into the political realm may make more sense this way: which scientists do you think of as the strongest advocates for political action on climate change? I’d put James Hansen, Phil Jones, Michael Mann, Peter Gleick, and Gavin Schmidt high on that list. I wouldn’t put Dennis Tirpak there. However, I may be missing your point. Are you saying that because of this “vast body of climate change research” has been undertaken by so many experts that we’re really ok? That just like the science, the needed policy actions are settled? The democrats in the United States couldn’t get climate change legislation passed with their largest majorities in the house and senate in decades and an extremely vocal president. The EU ETS – arguably the most significant political achievement on GHG emissions reduction – is failing to meet its goals, is rife with fraud, and experiences drastic price volatility years after inception. The good news – if one can call it that – has happened in spite of political action. In 2012, in the US (the second largest emitter of CO2) emissions were at their lowest level since 1994 due to both the recession and greater use of natural gas, which is still politically disincentivized. My point is that whatever we’re currently doing related to action on climate is failing miserably, and I think part of the reason is that our biggest champions – the true climate scientists – don’t have the experience in economics and politics to translate the impacts of mitigation actions into workable policies that have the support of the people. That’s not science, it’s just my opinion.